We are Kingston’s specialists when it comes to repairing anything that causes a warning light such as CHECK ENGINE, SRS, ABS, TCS, TPMS, MAINTENANCE, and more! Stay safe this winter with winter tires from Car Medics! We know winter tires. We have ALL the brands, All the rebates, GREAT prices and plenty to choose from. Plus, we will recommend the RIGHT tires for your car and budget! We have ALL the brands, All the rebates, GREAT prices and plenty of winter rims to choose from. Plus, we will recommend the RIGHT tires for your car and budget! 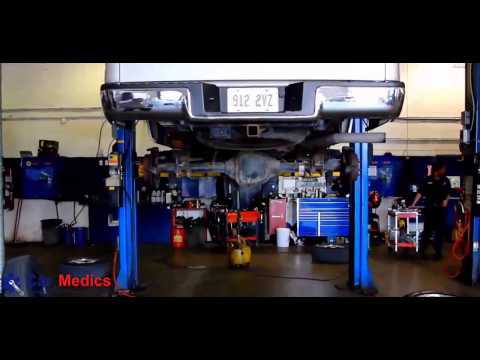 Car Medics is your destination for quality car repairs and maintenance in the Kingston area. Locally owned and operated in Kingston since 1993, Car Medics is ready to handle all of your vehicle service and repair needs. We have a team of Qualified Service Technicians who are fully trained to handle anything that goes wrong with your car, minivan, SUV or light truck, regardless of its year, make or model. Whether you’re due for regular maintenance, your car won’t start, you have a warning light on in your dash or you simply need air in your tires, Car Medics would love to take care of you, your family and your business. We offer comprehensive inspection packages, complete service plans, and even vehicle fleet management. We are also authorized to service new cars. Our Service Staff are friendly and knowledgeable and our reception areas are clean, comfortable and have complimentary Wifi.